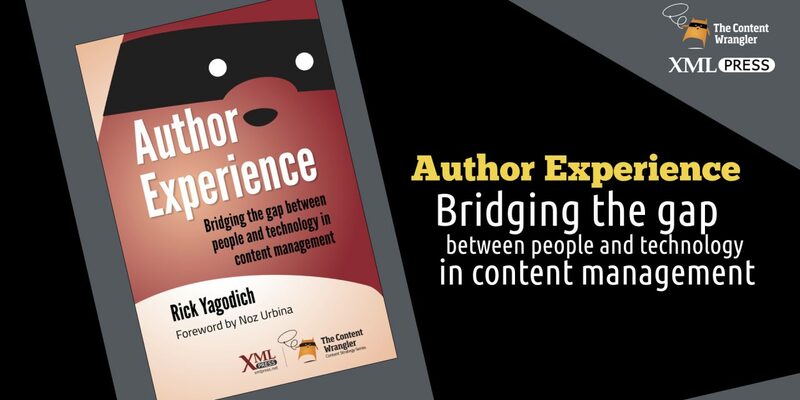 The following is an excerpt from Author Experience by Rick Yagodich, the fourth book in The Content Wrangler Content Strategy Series of books from XML Press (2014). The idea of author experience is often dismissed by people with budgets and those who design and build CMSes. They see more important places to invest, better opportunities for quick-win returns. Author experience demands a long view; it suffers in the face of short-term investment attrition. We must, therefore, demonstrate the loss, and the risks, incurred by ignoring this opportunity. Authors constitute anyone who interacts with our content management system. The purpose of a CMS is to facilitate the communications process for authors. Author experience is the discipline of implementing the part of a CMS that enables it to fulfill its purpose. It all sounds straightforward. Figure out what authors need to do their jobs better and accomplish their tasks with the least pain and disruption, then implement that. Right? 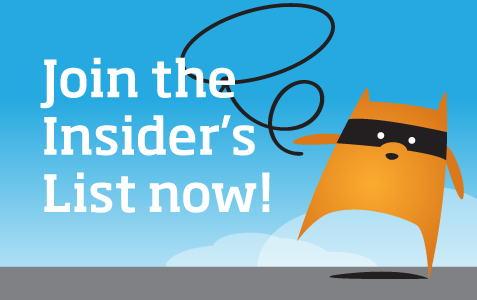 Considering only those who classify themselves as CMS providers, there are hundreds of players. Some offer enterprise implementations with significant license and consulting fees. Some offer usage-specific, open-source platforms that anyone can set up in a matter of minutes. Most of the rest offer something in between. Then there are players who offer custom implementations, often derived from existing platforms. Commercial CMS vendors win contracts by offering a set of features that looks good in a presentation deck and impresses the client’s marketing, IT, and purchasing departments. It doesn’t matter how well those features work because vendors know that clients will want the system customized to their needs; anything out-of-the-box will be modified. A couple of years ago, while solving some issues for a client, I ran into the following problem. The platform, for which they had paid seven figures, provided an element that let you associate a block of text and an image. It also had a localization model that enabled content structures and elements to stay synchronized. Great, you might think. We need both features. Except, when you edited a localized version of the text, the content synchronization was lost at the level of the entire element! Change the text, and the image was no longer synchronized with the master content instance. Any change to the image now needed to be replicated to 26 locales. This platform ticked both feature boxes, but in practice, it failed completely. Open source platforms are built by people who are technologically competent; they understand the workings of their systems. And because they are familiar with the technology and storage/retrieval paradigms, they do not find it onerous to manage their content using those paradigms; the model makes sense to them. However, the non-technical author is left out in the cold. Custom implementations fare somewhat better. Because they are usually built for one client’s specific task, they stand a decent chance of doing that task well. But rarely do any improvements make it out into the wider world; the value is not shared. Content management, generally, is a mess. Almost no attention is paid to the people who use content management systems. They are left to decipher interfaces and paradigms that bear no relation to the way they think about the content they manage. How the system presents content is sexier than how well it enables authors to manage content; the end-user experience is given more weight than the author experience. These problems engender frustration and drain resources. If you are trying to solve a content problem and the CMS forces you to think in a way that does not make sense to you, you cannot be productive. Frustration results in a lack of attention. If something that should be handled in a single process requires multiple steps, linked together manually, you make mistakes. Mistakes in communication result in lost revenue and excess costs. Improving author experience – enabling the CMS to fulfill its purpose – provides a direct business benefit in communication quality and integrity. Whether you can free up individuals and resources is secondary. In a world where reputation constantly hangs by a thread, subject to social-media mockery, poor content management can so seriously damage an organization’s reputation as to put it out of business. Content management is about communication. And communication is the lifeblood of any business. Communication sells our products and services and supports our customers. Communication is arguably the most important function in any business. Content management is a high-impact service provision within any organization. So, it makes sense that the people carrying out this function must be professional communicators. And professionals, whatever their expertise, need tools suited to their trade. Content management tools have their own models and paradigms, which are not particularly suited to the mindset of the people who must use them. (See Section 4.3, “The technologists’ paradigms” for details.) This is in direct conflict with the purpose of a CMS, which is to facilitate a human process. In the old days, any type of content management was considered to be an IT responsibility. After all, the system revolved around a big, scary computer – definitely part of the IT world. And the IT department made its own rules, in effect dictating what the rest of the business could or could not do. If you wanted a system, you informed the keepers of all things technical, and they took ownership. Unfortunately, the best-of-breed solution they gave you met criteria that were not necessarily based on the functionality you needed. The IT department was buying a new toy that suited its rules without asking what the new toy should do – not that the business really understood what it wanted anyway. Most often, this disconnect happened because authors were not consulted on their needs, and if they were consulted, there was no content strategy to speak of. As technology has become ubiquitous, more integrated into everyday life, other departments have gotten in on the act, making purchasing decisions for themselves and moving IT to a supporting role. This has, to some extent, been abetted by information systems becoming available as cloud-based services. But one feature from the old model remains. Even when the right departments are buying, they often do not understand the full scope of the functionality they need before making the selection; they buy based on a checklist of features, too often based on the latest social buzz. They select the platform before anyone considers what it needs to achieve. Then, the platform’s capabilities and limitations drive the customization. The business is forced to change its practices and processes to comply with the technology, which cannot be good. An organization I know is being forced by regulators to sell off part of its business. As part of the sale, they are required to set up systems for the spin-off business, including the marketing website. They have already selected the platform. When I asked them about the selection, they admitted that they had not analyzed their communication requirements, nor had they considered the actual business needs or the platform’s compatibility with them. They are already using this platform for another system. They have spare licenses because a subsidiary just canceled a build on said platform. I know the selected platform painfully well. I know what it cannot do. I know some of the basic requirements this organization will have for communicating their offers to the market. And I know the spin-off business will need to replace this system almost immediately. Someone identifies that a new or replacement system is required. Because the system requires a major capital expenditure, the IT department is tasked with fixing the problem. The IT department creates a list of functionality and features based on their perception of policy and end-user needs. An RFP is issued, and a new platform is selected. Designers and information architects are brought in to figure out how the system will work; maybe content strategists are brought in to determine what the content should be. The CMS vendor’s implementation partner works to deliver on the promises represented by the RFP, while pushing back on the design and functionality. The new system is delivered to great fanfare. Within days – weeks at the outside – those responsible for maintaining the content wonder why everyone went to all that trouble. The new system is no better than the old platform; it does not help. This does not need to be the case. There is another approach. First, we must define the communications the system will carry, starting with the fundamentals: Why do we need the system? What is the purpose of the information exchange? From this, through a few more steps, we can identify and model the content required, at least in the abstract. Second, once we know what content needs to be managed, we can determine the content management paradigms best-suited to the authors – from initial creation by subject matter experts through copy-writing and editing to distribution through the myriad mechanisms, channels, and devices from which it is consumed. Who must interact with the content? How do those interactions differ at various stages within the process? What are the workflows associated with creating, editing, revising, and archiving the content? The content managed through the system fulfills a purpose. The system enables authors to manage that content properly. Content strategists are called in to understand the communications purpose of the system and to model the content it must handle. Author experience consultants map the modeled content to organizational workflows in consultation with all affected parties, ensuring that the paradigms are appropriate to the audience. The IT department takes the requirements and determines whether a new system is required or whether the existing one can be extended to meet the content and authoring needs. An RFP is issued, and a platform is selected that is capable of managing meaningful communication. Designers figure out how to display the content. Information architects work with the vendor to map the modeled content and workflows into the system’s paradigms. The CMS vendor’s implementation partner delivers the content management, authoring, and workflow functionality they agreed to in response to the RFP. The new system is delivered to a user base of subject matter experts, writers, and editors who have been looking forward to a solution based on their needs. By defining the author experience before choosing the platform, we accomplish two goals. First, the delivered platform is fitter for purpose and, thus, provides a better return. Second, the process benefits the content management community at large because CMS vendors learn that for one more client, they cannot use sales tactics that ignore the actual purpose of the system. We are all familiar with the concept of user experience: the need to focus intently on – even be obsessed with – the end user. Content strategist Eric Reiss defines user experience as “the sum of a series of interactions” between people, devices, and events. However, in practice, there is a tendency to consider just the end user – usually a customer, an external party – as the user of record. With most CMS implementations, when author experience is raised as a concern, it is pushed back by the demands of end-user UX. The end users are most important; we must ensure that the system engages them, keeping them busy with our content (buying our stuff or racking up hits that work toward our advertising revenue). How can the author be more than an afterthought when there are valuable customers to be wooed? The mindset driving most UX is that un-engaging content does not retain users, and a difficult-to-use environment encourages them to go elsewhere to fulfill their needs. If they have no choice but to use our poorly implemented system, they will become frustrated, leading to a combination of sloppy use and negative reputation. That is a compelling argument to make UX your number one priority. However, this argument ignores a fundamental detail. Authors are users too; the same psychological consequences apply to them. And given that the authors are responsible for managing the content that is supposed to engage end users, we cannot afford to use a platform that frustrates authors and keeps them from developing high-quality content. The CMS must be valuable to the people who use it to manage content. After all, a tool that is valued by a worker is used by that worker. If you don’t invest in author experience, the value of the CMS is severely degraded and the end-user experience is jeopardized. 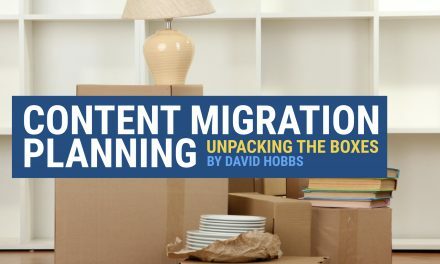 If you are spending money on a content management solution, it pays to consider which parts of the system provide the greatest overall returns. These will likely not be the quickest wins. 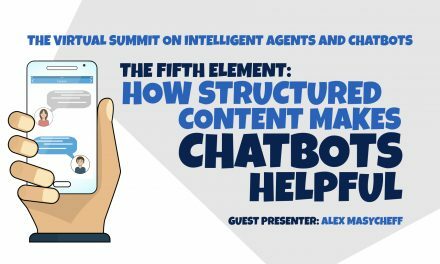 As you can see, author experience is a critical element in managing content, and it becomes increasingly important as organizations embrace multi-channel communications. But the available tools and people’s mindsets can get in the way. Chapter 4, The Challenges to Good Author Experience, contains examples of issues that hinder us – problems we must address to bring more tangible returns from the managed content. But first, we have to deal with the question of responsibility. Whose role is it to ensure that author experience is given its due? Who fights for the budget? Who holds developers, implementers, and system providers to account? Who champions the communications process? There is no simple answer, except to say: you do. From a business perspective, anyone who understands the value of reducing risks associated with managing communications must be on board. If you own the budget for marketing, content management, or support, then author experience must be a high priority. When someone tries to siphon off funds to a pet project that will allegedly provide a quick win, the real price is in the stability and coherence of your content, putting at risk the very thing you are responsible for. From a content manager perspective, I think it goes without saying: a good author experience makes your life simpler. From a developer or implementer perspective, you have a responsibility to your clients, not only to provide them with what they explicitly request but to understand the purpose served by the system you’re developing. Don’t trade authoring functionality necessary to that purpose for something else, even if that something else is the latest “in” thing that everyone else has. To read more from Author Experience, by Rick Yagodich, check it out on the XML Press website, or buy the book now on the Amazon, Barnes & Noble or the O’Reilly Media website. PreviousDoes Content Marketing Speak To Technical Buyers? Rick Yagodich has been working with the web since 1995. Right after creating his first HTML page, he asked, “What is the business purpose of this site?” That question has driven his interactions with web technology ever since. Rick has experience with most aspects of web technology, from front-end design to back-end development. 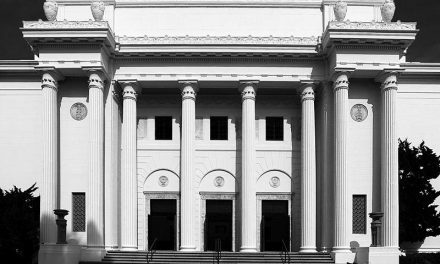 It is from this breadth of experience that he determined a vital part of the industry was severely under-served: the systems used to manage content are not designed for the needs and processes of those who use them. His consultancy, Excolo, has served clients in industries ranging from financial services to retail to business services to communications and now focuses on that niche of the web consultancy market: Author Experience.